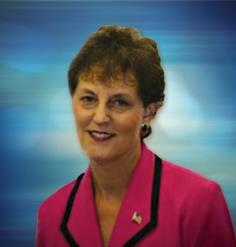 Ann Geisler, formerly with Dean Insurance, is the President of her new company Southern Cross Insurance Solutions. Ann Geisler made this transition in January of this year to to continue expanding personalized insurance solutions such as insurance for midwives (midwifery insurance), insurance for birthing centers, malpractice insurance for providers and birth centers, and more. Ann Geisler has an insurance career that spans four decades, and has met and served thousands of people over that time. Not only has she succeeded in the insurance business as CEO of Dean Insurance, which she co-founded in 1994, she developed an affordable health insurance program for midwives while chairing the Midwives Alliance of North America (MANA) Insurance committee. She teaches many CEU programs for midwifery students and allied health and hospital family practice residency programs. Ann Geisler is a consumer midwifery advocate with memberships including: Midwives Alliance of North America (MANA), Midwives Association of Florida (MAF), National Association of Certified Professional Midwives (NACPM), American College of Nurse-Midwives (ACNM), American Association of Birth Centers (AABC), and Citizens for Midwifery (CfM). Southern Cross Insurance Solutions is a corporate sponsor/exhibitor for many of these organizations. Ann and her husband Pete, have one married son. Father and son operate the family business, Orlando Mustang, and the family shares an interest in classic autos and car shows, travel, and farming. You can email Ann Geisler at ageisler@southerncrossins.com or call her at (888) 985 – 3542.